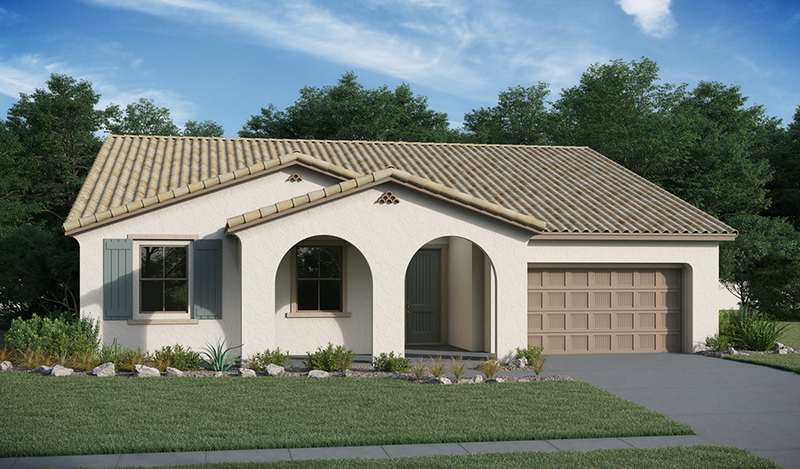 Highlights of this ranch-style model home include a solar package, an extended covered patio, landscaping, quartz bath countertops, 8' interior doors, granite kitchen countertops and maple cabinetry. You'll appreciate the quiet study with French doors and an airy great room, which opens onto the professional kitchen and nook. Also included: a master bedroom with a private bath and generous walk-in closet.